Walvis Bay Child and Family Centre (WBCFC) is a registered non-profit “child-centered” organization dedicated to providing services for children who are differently abled, and have diseases and disorders in Walvis Bay. As a non-profit charitable organization, Walvis Bay Child and Family Centre provides educational services to needy families of Walvis Bay with children who are thus afflicted. The Association was formed in 1995 to offer support to Walvis Bay families that begins where other agencies typically end. 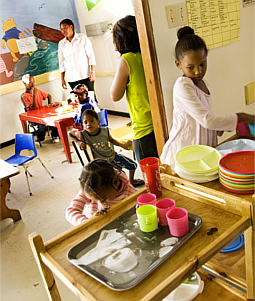 Walvis Bay Child and Family Centre is not affiliated or associated with any other health or human service agencies.